The ships construction has been completed in Gironde (Bordo) in 1895. She was 80 meters long, weighted 970 tons and she could carry up to 100 mines. 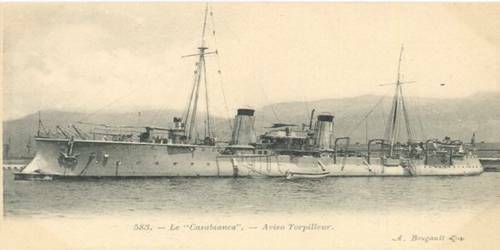 She was first a torpedo ship when contructed but then in 1913, she has been modified and became a mine layer ship. The crew was consisted of 6 liutenants and 132 privates. In 3rd of June 1915, she was sunked by a collision to one of her own mines while laying mines in Golf of Smyrna.